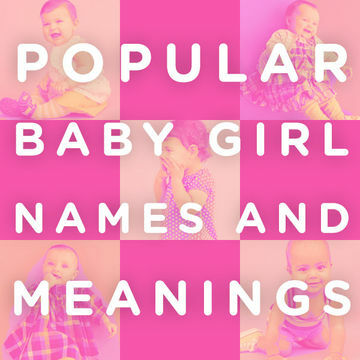 Top ten baby girl names and definitions. A Greek name meaning "wisdom," Sophia has been popular in English-speaking countries since the 1600s. The name has also been used in various religious texts, with characters that personified wisdom being referred to as "Sophia figures." Variant forms of the name include Sofia, Sofie, Zosia and Sonya. * Top baby girl names for 2011 according to the Social Security Administration. A common name of queens in Spain, France and Denmark, Isabella is of Hebrew origin and means "God's promise." Isabella is also a well-known literary name, used by William Shakespeare, Jane Austen, Emily Bronte and, more recently, Stephanie Meyer in the Twilight series. 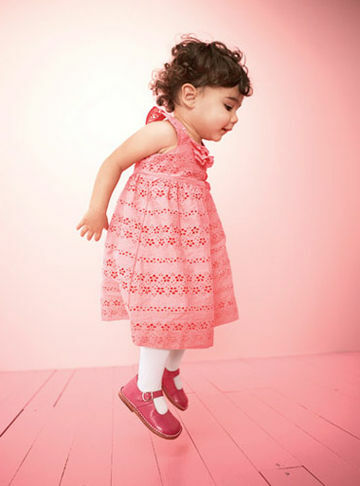 Similar names include Izabella, Isabelle, Sabella and Isobelle. The name has more than 20 variants including Emme, Emeline, Emmette and Ima. Created by William Shakespeare for his play, "Twelfth Night," the name Olivia can be derived from the male name Oliver or the Latin meaning "olive tree," a symbol of peace, beauty and dignity. The name has 24 variant forms including Alivia, Olia, Livia and Ollie. Used for both girls and boys, the name Ava is of Germanic origin and may be derived from the Latin word avis meaning "bird." The name may also be a phonetic respelling of the name Eva or Evelyn. The name Ava has steadily rose in popularity over the past decade in the U.S., Canada, Ireland and Scotland. Variant forms include Avah, Avelyn, Avelina and Avlynn. Meaning "rival" or "eager," Emily was derived from the Latin name Amelia, which took its source from the Roman surname Aemilius. The name has been popular in the U.S. and abroad for decades, with famous authors including Emily Bronte and Emily Dickinson. Emily has more than 70 variant forms including Aemilia, Emmilee, Emmy, Amalia and Mika. A Hebrew name meaning "father of exaltation," Abigail was known in the Old Testament as the wife of David. The name came into use under Puritan influence in England in the 1500s. Abby has more than 40 variant forms including Abby, Abbie, Gael and Gayle. Also used as a name for boys, Madison is of English origin and means "son of the mighty warrior." It may also be a variant of the Hebrew name Madeline or the German name Matilda meaning "mighty in battle." In addition to its American popularity, the name has been popular in Australia and Canada since the mid-90s, according to thinkbabynames.com. Variants of Madison include Maddison, Madisen, and Madyson. Short for Maria in Danish and Swedish, the name may also mean "uncertain" in Hebrew. The name has steadily risen in popularity in the U.S. since the 19060s and has been made famous by actress Mia Farrow and soccer player Mia Hamm. Variant forms include Mea and Meya and similar names include Mya, Maia and Miah. A Greek name meaning "green shoot" and "fresh blooming," Chloe was borne by Demeter, the Greek goddess of fertility. The name is also popular in Australia, England, Ireland and Scotland, according to thinkbabynames.com. Variants of the name include Chloee, Cloey, Khloe and Kloe.